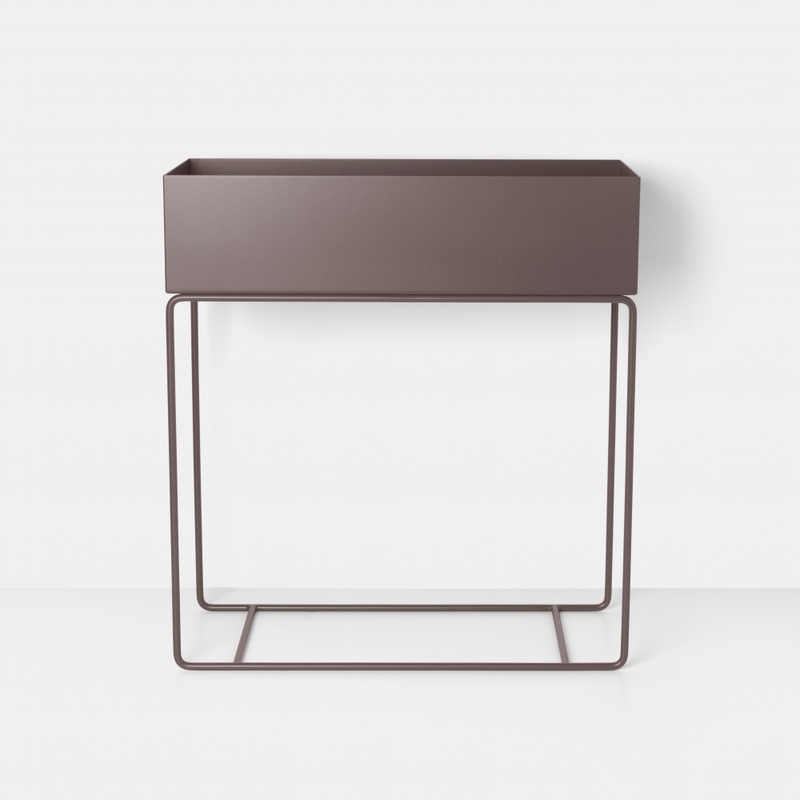 This Ferm Living Taupe Standing Planter / Storage Tray has an elegant and stylish design and is made from powder coated metal. Perfect for creating a cosy corner as a room divider or as a stylish storage solution for a hallway. Sure to be admired, the sleek lines and pleasing aesthetic of this metal planter / storage tray makes it ideal for tidying away books or toys in the home or office space.